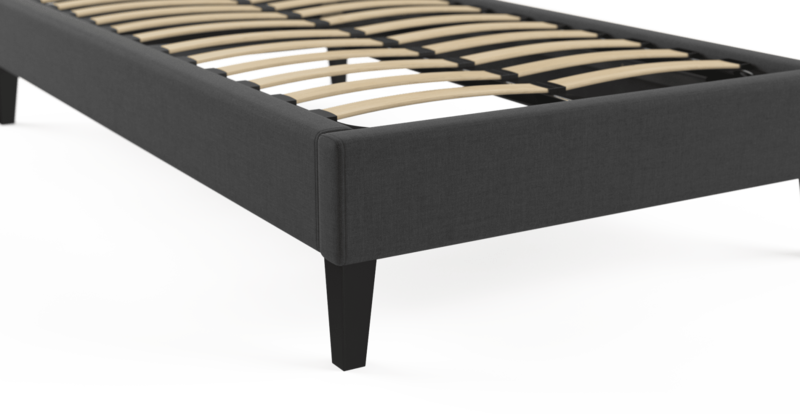 The Single Size Upholstered Slimline Bed Frame Base was designed with small spaces in mind. The slim profile balances beauty and practicality. 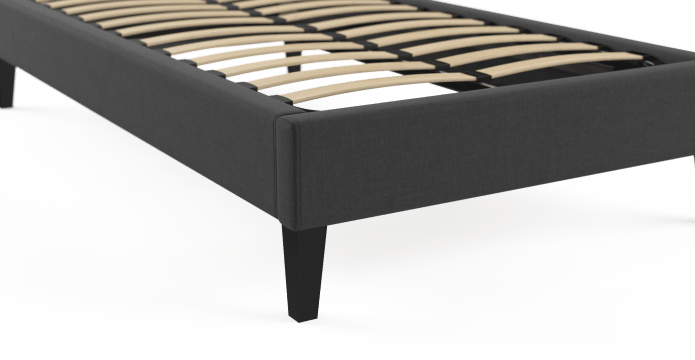 Perfect for single sleepers and spare rooms. 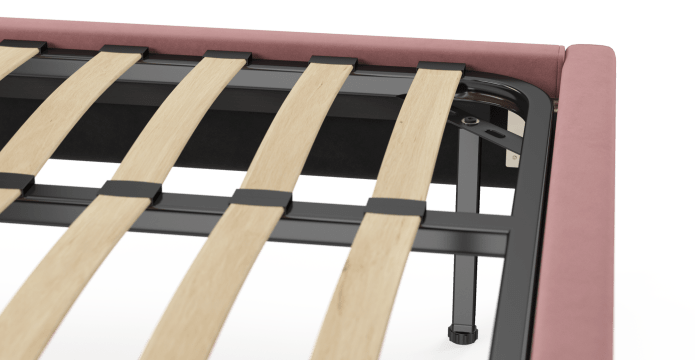 See more bed base designs. Enjoy the feel of our lush touch fabrics. 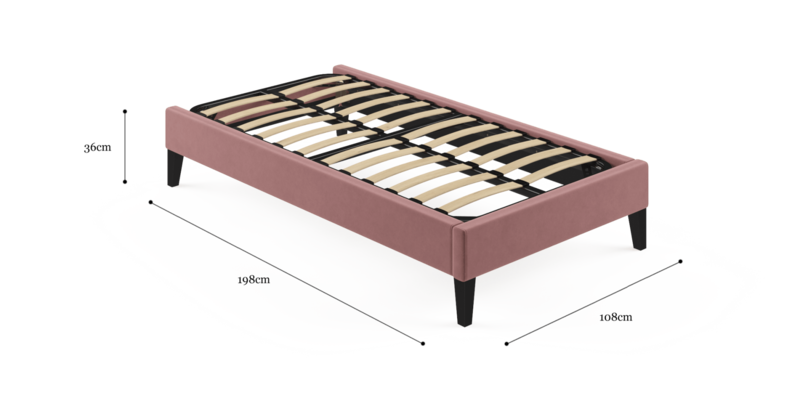 The Slim Single comes in a range of charming choices to match any bedroom. Pick your colour and choose from Warwick Mystere velvet, or our Signature Premium fabric blend. 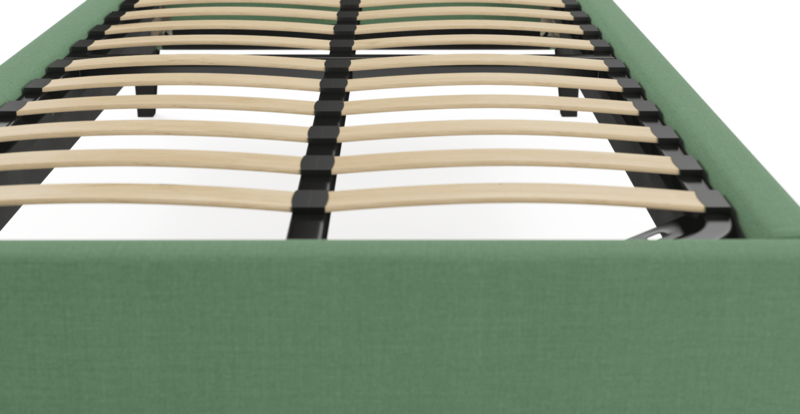 Strong solid timbers and postured slats combine, ensuring you sleep soundly. 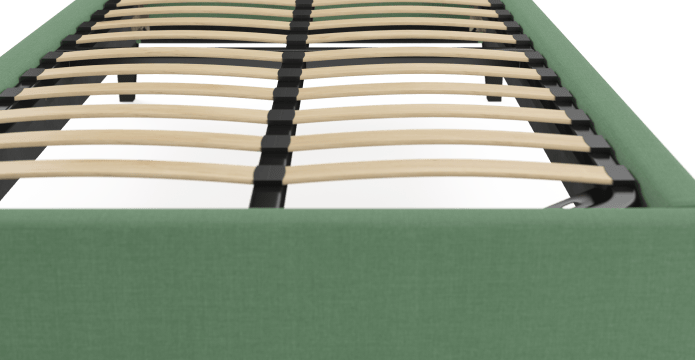 All of our beds were made by our generational makers, who specialise in building top quality bedroom furniture. The Slim Single is the epitome of simple, sophisticated style. 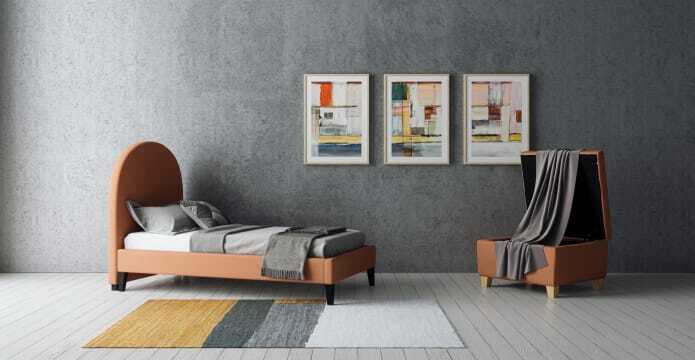 It’s designed to suit all bedroom interiors. Match it with your favourite bed head design. 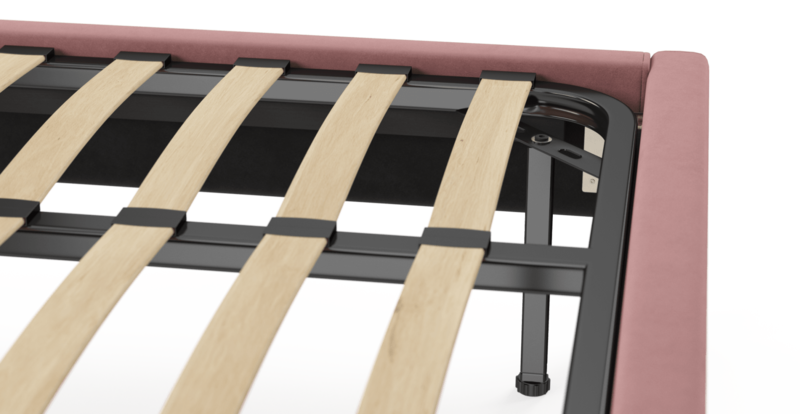 See, touch and feel our fabrics used on our Single Size Upholstered Slimline Bed Base. For Free! Simply select up to 3 fabrics and add them to your cart. Delivery is on us.